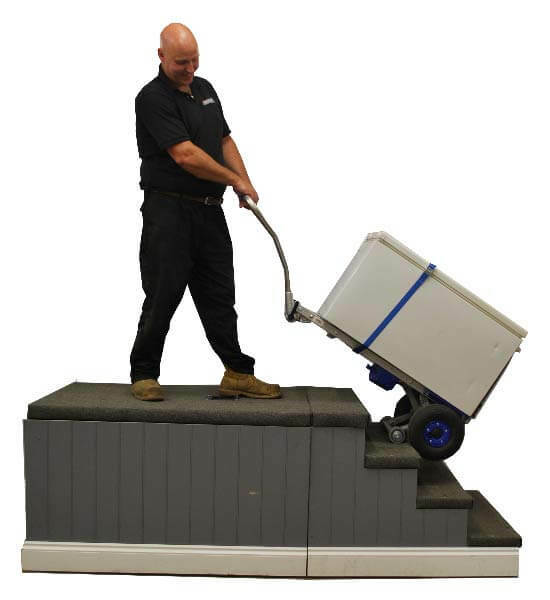 In home and office environments, there are plenty of situations where a stairclimber may come in handy. 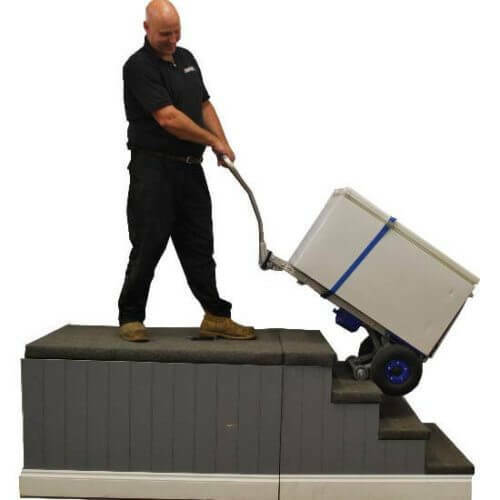 Stanley offer tailored stairclimbing solutions, designed to make your life easier, taking away the strain on your back, the risk of injury and ultimately delivering a more seamless experience for lifting and shifting desks, heavy boxes, drink dispensers and beyond up and down the stairs. Our first recommendation for office and home environments is the Sprinter. This is a compact, ergonomic and ultra-lightweight powered stairclimber that can haul heavy loads up to 170kg up and down stairs. 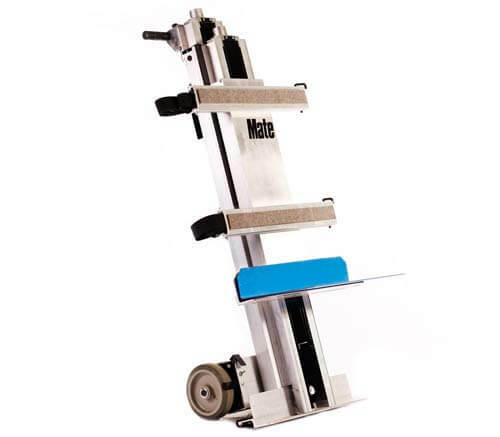 This model is of lightweight aluminium construction and therefore light enough to be carried. It can also be folded down to fit into the boot of a car, and has no issue handling a wide range of tricky objects. We secondly present the PowerMate Pogo. 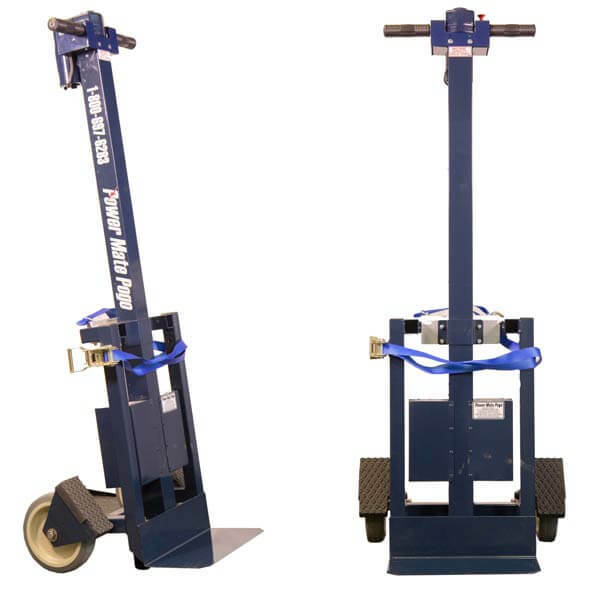 This light-duty motorised hand machine can handle objects of up to 100kg, which in turn reduces property and product damage. 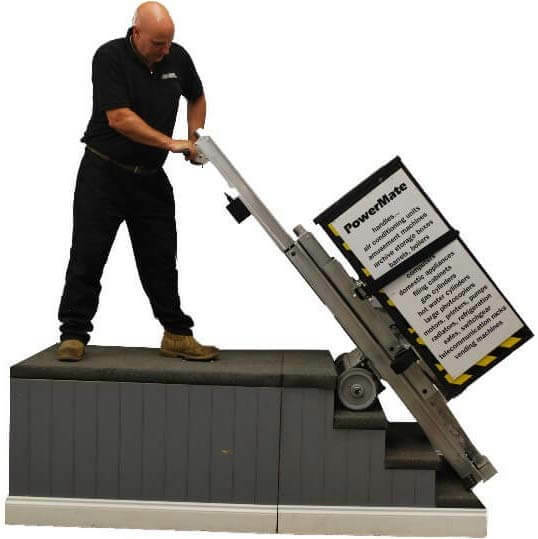 Using a single operator, all sorts of heavy loads can be transported up and down stairs with minimum fuss. 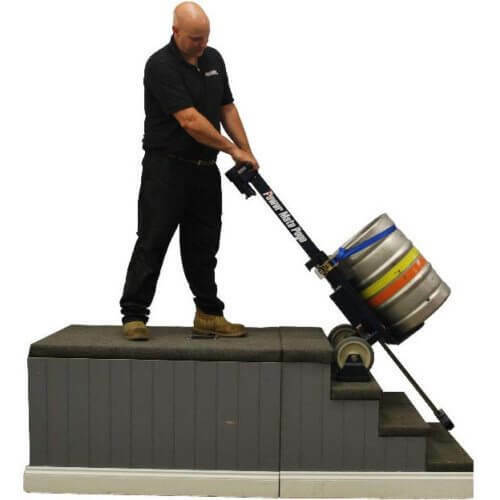 An ideal solution for moving smaller heavier items during removals or rearranging equipment in the office. 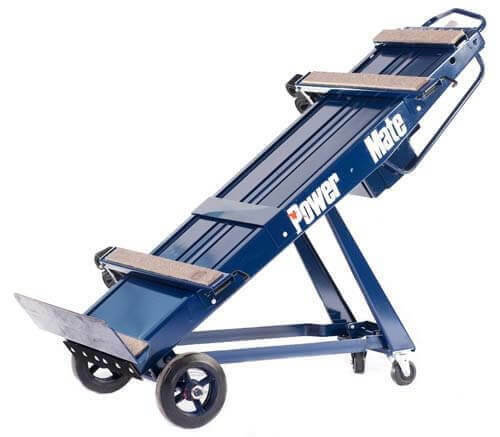 The PowerMate series are the strongest stairclimbers Stanley offer. 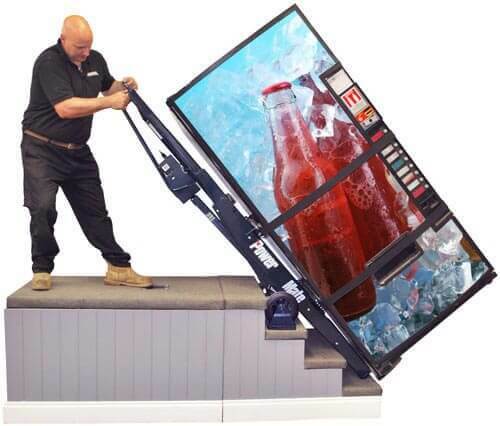 These are typically suited to offices with much heavier objects such as vending and entertainment machines. 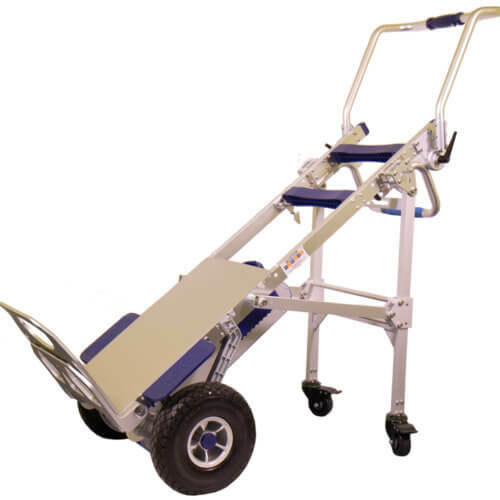 Each of these models differ slightly in size and capability, with some even fitted with a moveable toe plate. The heaviest weight capacity they can lift is a whopping 680Kg.